On our last full day in El Chalten we rented mountain bikes and went biking around the city, and north of it to a huge waterfall. The road was really rough, so the ride was not great, but the views of the mountains made up for it. We had great weather while we were there, which is apparently unusual, according to the keepers of the bed & breakfast we stayed at. An we saw one more Condor while we were at the waterfall! Before our bus left El Chalten, we went to the visitor center for Glacier NP. 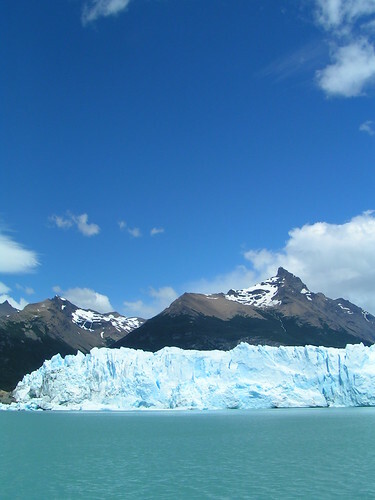 We learned a little more about the southern Patagonian icefield, which is right behind Mt. 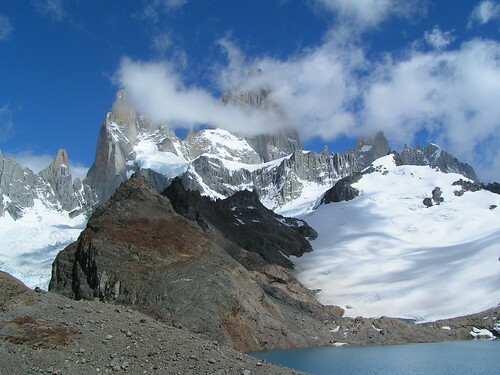 Fitz Roy. It is about 70km wide, and at average 700km deep! That is all snow and ice, and it is completely flat on top and stable. People hike across it every summer. There are even permanent campgrounds on top of it!!! There are a few mountain tops sticking out of the middle of the icefield. It feeds all of the glaciers in the park. Today we just arrived in Punta Arenas by bus from Argentina. We ran into a suprise when we got to El Calafate and they told us that the busses toChile were all full for the day we wanted to go, so the only option was to go right away. So we hopped on the bus and spent a night in Puerto Natales instead of El Calafate. Thats okay. Now we are back in Punta Arenas waiting for Courtney and Danny to get in tomorrow. Their flights got all screwed up, like ours did, so they will be arriving late. Tomorrow, we will got to Seno Otway, where there are Magellenic Penguins (did I spell that right?) They come onto the shore to breed during the summer. We wanted to go to Isla Magdelena to go and see them, but the boat that leaves to that island is not operating at the moment. 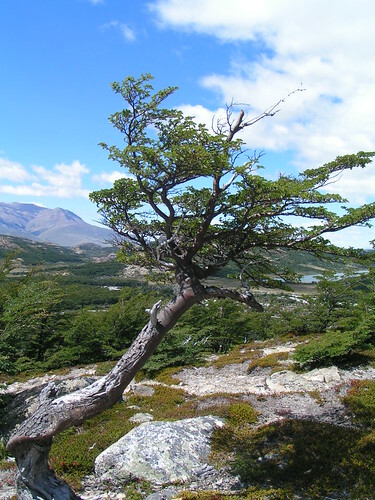 So we will be taking a bus to Seno Otway, which is on the same peninsula as Punta Arenas, but on the west side of it. We made it finally to Punta Arenas after more than 24 hours of travel! 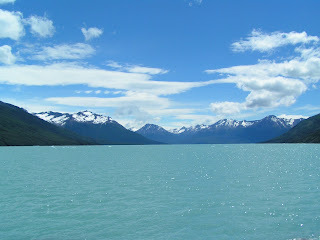 We are on the Straight of Magellan, surrounded by the Andes Mountains and fjords! Sweet! Our journey here was very rough with many flight changes and delays, not to mention crying demonic devil babies in surround sound. But we actually only came in 3 hours later than we were supposed to arrive, so it all worked out. That´s with changing three out of the four flights. 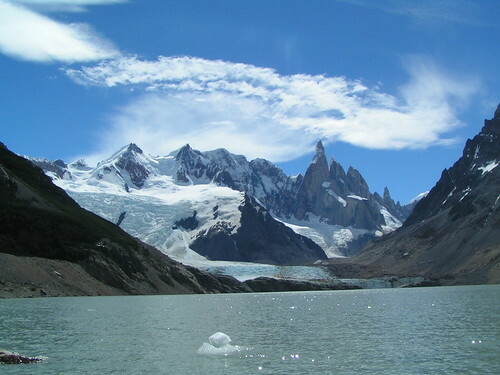 Tomorrow we are heading out by bus to El Calafate in Argentina via Puerto Natales. 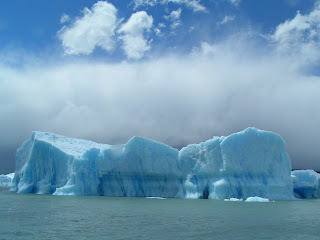 We will be camping next to a glacier, Perrito Moreno.